Despite a narrow failure to double up Team China’s score, the Americanos got off to a strong start in Olympic pool play. Kevin Durant had a signature stretch of slightly too-easy back-to-back-to-back threes in the second quarter, ominously portending the foreseeable future of NBA life. Harrison was able to rebound from a slow start to post Olympic highs in assists, rebounds, and points. He threw another post entry, this time to Paul George for a tough turnaround. He grabbed uncontested rebounds and pushed the tempo in transition. And he missed an open three in the closing seconds of the game. 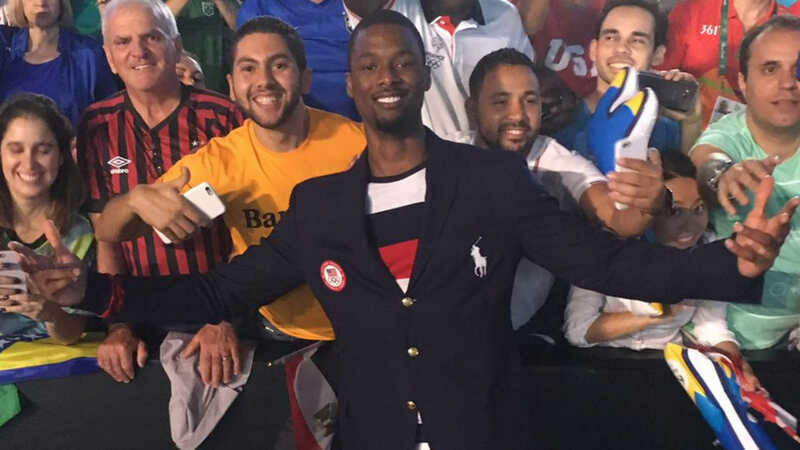 But really, how did Harrison Barnes do? FIBA insists that Harrison Barnes entered the game a full minute before this play, but honest to God, I watched this stretch three times and could swear he hadn’t checked in until he was lining up for Team China’s free throws. This play’s a bit of bad luck, really — it’s Harrison’s fault, but not all his fault. Still, he should have been more prepared. 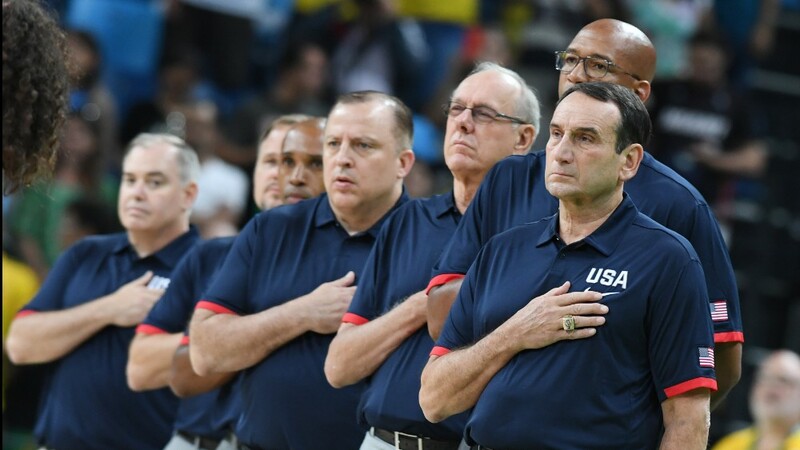 Team USA lined up just three players along the key, with Harrison lingering at the three point line. Li Muhao missed his second free throw diagonally across from Kevin Durant, who was assigned to box him out. Harrison began inching towards the paint, but not quickly enough to prevent Zhai Xiaochuan from violently batting the ball off his leg and out of bounds. 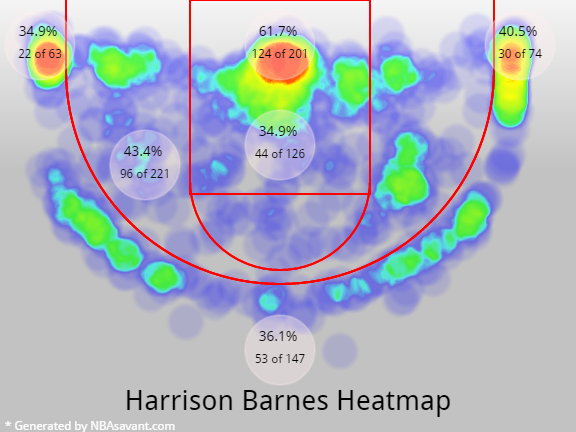 We’ve discussed how Harrison Barnes’ hands rarely look active off-ball, and how he tends to glide around a bit aimlessly, never physically holding his position at either end of the court. It’s frustrating to watch such a long, hesitant athlete putter about in stop-motion. Moments after not totally committing on help defense and giving up an and-0 layup, Barnes surveyed the floor, dribbled hard, crossed over, stepped back, and got Yi Jianlian off his feet. If we froze that instant, we might expect a player like Barnes to turn away and shield the ball as the play died down. Maybe he’d eventually pass it back out for a long Paul George three with four seconds left. Instead, Barnes threw the ball to Draymond Green and ran into the middle of the paint before Yi Jianlian even hit the ground. Green passed right back, and Barnes got an easy flush, using two hands for safety. Okay, now you’ve seen it. So if Barnes is looking to expand his role next year, he’s got to become decisive moving without the ball like this. He’s a good athlete and set shooter, so his ceiling as a cutter is, uh, through-the-roof. Let’s hope for more of this from Harry-B. Harry looks to vanquish Venezuela today at 5 pm central.